If you're one of those people who are unfortunate enough to suffer from dandruff, you've probably already discovered how much of a nuisance it is in your everyday life. Not only does it undermine your self-esteem, but it limits your wardrobe to light-colored clothing to camouflage the unsightly flakes. So what is dandruff and how can you get rid of the itchy scalp and flaking that occurs? The answer is not that simple because why you have dandruff may be a mystery and the treatment may depend on the cause. Read on. Doctors dispute the actual causes of dandruff and there is no definite reason given for those annoying oily or dry flakes on the scalp that soon appear in your hair. Your scalp sheds cells in a natural process but for some people, excessive flaking occurs when dead skin cells are shed at an increased rate. Different theories include overactive oil glands, clogged oil glands, stress, diet, hormonal imbalance, poor hygiene, and possibly a fungus such as P. Ovale. According to the Mayo Clinic, the fungus is often present in dandruff but may not cause it. The dandruff may, in fact, be causing the fungus. Dandruff is not a threat to your health or life. It is not contagious and typically does not cause your hair to fall out or lead to (yikes!) complete balding. Getting rid of dandruff is beneficial to relieve an itchy scalp and for cosmetic reasons. If something's not right, it makes perfect sense to seek help. Keep in mind that there is no definitive cure but there are several ways to manage it and keep in under control. Some dandruff treatments may work, some may not. Sometimes, what worked before, quits working and you have to move on to another remedy. If your flaking is not too bad, you can start by washing your hair more often in tepid water with a mild shampoo. Every time you shampoo and condition your hair, make sure you rinse thoroughly to ensure there is no product left in your hair. Products not properly rinsed out can be a single cause of flaking. Avoid styling products that contain alcohol and use hair spray sparingly. For serious dandruff, there are many solutions on the market today that contain salicylic acid, selenium sulfide, or coal tar to help control remove the dead cells and control any fungus. The cost is higher than other shampoos but it may be cheaper then visiting your dermatologist. Follow the directions carefully and massage thoroughly into your scalp for maximum results. Again, some shampoos may quit working and you may need to try another type. See your dermatologist if symptoms persist. There may be an underlying cause of excessive flaking such as psoriasis or seborrhea dermatitis in which over-the-counter treatments are not very effective. Whilst prescription medications and shampoos can greatly reduce discomfort and ease symptoms, a cure is not guaranteed. There are many things you can do at home to increase you chances of success. Changes in your diet should include reducing your sugar intake and possibly yeast. You probably won't see results quickly but over time, it can help. Get proper rest and do all that you can to reduce stress. You may need to put something on hold and take some time to relax. Again, results won't be immediate but reducing stress can not only be good for fighting dandruff, it's beneficial to your overall health. 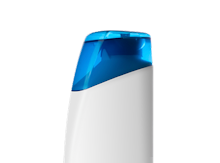 Listerine mouthwash can be used because of it's antiseptic ability to reduce germs and fungus. It can irritate your scalp so don't apply it if you have a "raw" scalp or any open sores. Aloe Vera is a popular home remedy for a large variety of skin conditions and dandruff is no exception. The best natural remedy is to take the gel from Aloe Vera leaves, apply it directly to your scalp and leave in for hours at a time or overnight, followed by shampooing. Look for tree oil shampoo at a store that specializes in natural and organic products. Known for it's antiseptic, antibiotic and antifungal abilities, tree oil shampoo can be effective in treating dandruff. If your scalp is sore, test a spot first to see if it causes further irritation or allergies. When babies have dry, thick flaking on their scalp, it's known as "cradle cap." Often, rubbing baby oil over their scalp softens the flakes for removal and helps prevent more from forming. For small areas, adults can try this too. *This page is provided as an information resource and is in no way intended to be a substitute for professional or medical advice.